In a move that will provide further evidence of the consolidation between the networking and security world Sophos has acquired Astaro. UK based Sophos, best known for its anti-virus expertise, has snapped up privately held US outfit Astaro in an undisclosed deal to bolster its network security efforts. As well as strenghtening Sophos ability to provide endpoint protection the deal recognises the direction the security market has been heading in with a need for greater defences in an age of greater staff mobility. "Demand for network security solutions with more comprehensive and high-quality protection is accelerating fast, and yet companies are struggling with the complexity of multiple security solutions to serve these needs," said Jan Hichert, CEO at Astaro. As the companies combine the product portfolios there will be a benefit for Sophos resellers looking to pitch a more agressive endpoint protection story. 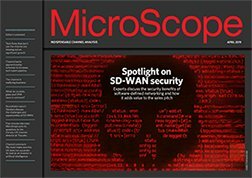 "The combination of Astaro's comprehensive portfolio of network security solutions alongside our endpoint, mobile, and email and web threat and data protection capabilities will enable us to continue to deliver on our vision of providing complete security without complexity wherever the user and company data resides," stated Steve Munford, Chief Executive Officer, Sophos. Directly addressing the channel Sophos stated: "Partners can deliver coordinated threat and data protection, and policy from any endpoint to any network boundary with solutions that can be deployed in any way: software, virtual, appliance, via a cloud services platform and backed by security updates from Sophos Live Protection."